Currently I work in Ashley Seifert's Lab here at UK studying regeneration in African Spiny mice (Acomys). Spiny mice are close relative to laboratory mice (Mus musculus), but unlike lab mice they are able to regenerate complex musculoskeletal tissue in the ear as well as large portions of skin without scarring which allows us to study regeneration in a comparative framework. 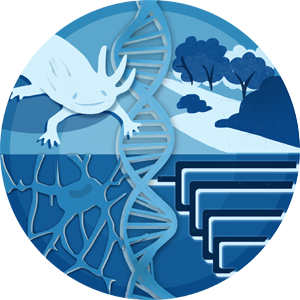 I'm interested in understanding the underlying genetic program that differentiates scarring from regeneration by identifying differences in genome architecture, transcriptional response and chromatin landscape between species.